On a snowy April day in 1971, Dr. Lawrence H. Cohn sat talking with legendary Boston heart surgeon Dr. John J. Collins Jr., who was persuading him to leave the prestigious cardiothoracic program at Stanford University School of Medicine and come to Peter Bent Brigham Hospital. Dr. Cohn, who was 78 when he died of a stroke Saturday in Brigham and Women’s Hospital, changed more than just the way things had been done at the Brigham, his professional home for 45 years. An internationally renowned surgeon, he was a pioneer in minimally invasive procedures to fix heart valves. He also performed considerably more than 11,000 surgeries, including being part of the team for New England’s first heart transplant, which took place at the Brigham. Dr. Francis D. Moore, a leading figure in 20th century medicine, personally sought to bring Dr. Cohn to the Brigham. “He regarded Larry as his finest recruit, and told me that many times,” said Moore’s son, Dr. Francis D. Moore Jr., who is chief of the division of gastrointestinal and general surgery at Brigham and Women’s. In turn, Dr. Cohn became a legendary mentor, training surgeons who went on to lead cardiac divisions across the country and as far away as Australia. 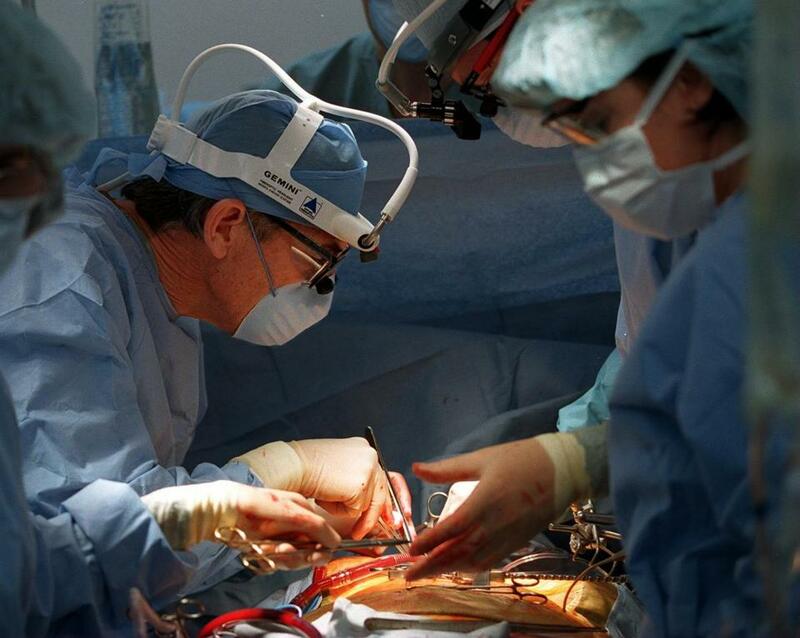 “He believed that holding a patient’s heart in one’s hand was a privilege, and he was determined that those he taught would be worthy of that privilege,” said Dr. Betsy Nabel, who is president of Brigham and Women’s and trained under Dr. Cohn as a cardiology fellow 30 years ago. Last June, the Journal of Thoracic Disease called Dr. Cohn “a master of masters in cardiac surgery,” an assessment echoed by those he had trained. Celebrated often throughout his career, Dr. Cohn was presented with the Paul Dudley White Award, the American Heart Association’s highest honor, and also received an honorary master’s of medicine from Harvard University and an honorary doctorate from the University of Paris. “He was an outstanding teacher of young surgeons and he was a great physician,” said Dr. Eugene Braunwald, who is one of Boston’s most prominent cardiologists, and was a mentor to Dr. Cohn. He graduated from Lowell High School and received a bachelor’s degree from the University of California, Berkeley, where he studied American history and took pre-med classes. “He took me to my first high school dance,” she recalled. They married in 1960 and in their time in Boston, including many years in Chestnut Hill, they were involved with numerous organizations. Dr. Cohn was an overseer for the Boston Symphony Orchestra and on the board of the Boys and Girls Clubs of Boston. Dr. Cohn also was actively involved with the Museum of Fine Arts. The Cohn Library at Brigham and Women’s, which opened in 2008, is named for his family and includes rare antique books about cardiovascular medicine. In addition to his wife and grandson, Dr. Cohn leaves two daughters, Leslie Bernstein of Newton and Jennifer of San Francisco; and two granddaughters. A memorial gathering at Brigham and Women’s will be announced. 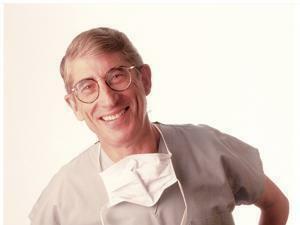 Dr. Cohn “always used to say to everyone ‘I fix broken hearts,’ ” his wife said. After graduating from medical school, he trained at Boston City Hospital on the Harvard service, at the National Institutes of Health, and at Stanford before being recruited to the Brigham. In the operating room, Dr. Cohn commanded respect, and more. Dr. Cohn was as attentive to his patients as he was to the surgeons he trained, visiting each before surgery and insisting on late night updates from the hospital. In the 2006 cardiology journal interview, he recalled a speech he once gave to a cardiothoracic surgeons’ organization.